If your business is looking to bring a new custom part to full production, working with a Far Eastern supplier can prove the ideal solution for delivering high quality products on a budget. Blue Diamond Technologies understands that a common problem for engineers looking to purchase a new custom part, that can’t simply be bought off the shelf into production, is where to get it manufactured in a cost effective way and who to approach to manufacture the custom part. Initial design for form and fit are one thing, but taking a concept into full production requires a completely different set of skills, and it is easy to overlook key details that will result in the production parts failing to complete the equation of adding function to form and fit. In recent years, numerous UK businesses have saved costs through having custom parts and assemblies made in China and other areas of the Far East. The engineering capabilities of these nations are now as good as anywhere in the world, and customers of reputable Far Eastern manufacturers enjoy excellent quality while reaping the benefits of significantly reduced costs compared with having a part made elsewhere. This is not to say, however, that the process is guaranteed to run smoothly, and for every success there is a corresponding horror story that highlights just how wrong things can go. While you might think that these problems are the result of misunderstandings due to the language barrier or due to unscrupulous factories charging upfront for inferior parts that bear no relation to the initial samples, much more frequently the problems begin closer to home. So what sorts of things can go wrong, if you decide to source custom parts on your own? Typical scenarios might see a procurement manager trying to source a part from the Far East in order to reduce costs on a custom part. On paper, sourcing that part from, say, China might offer cost savings of 20% as a minimum, and perhaps up to 50% or more. But where do you turn in the first instance? Choose the wrong supplier, and that plane ticket to China can start to look very expensive indeed. What happens, too, with the finished custom part when, although it seems fine initially, it soon becomes apparent that in long term operation in the machine or sub assembly, the custom part isn’t working quite as anticipated, or is traced as the cause of faults and stoppages elsewhere on the machine, or isn’t offering the anticipated lifespan? By the time the problem has been traced back to the Chinese sourced part, you might already have tens of thousands of them sitting on the shelves in your warehouse. So what is the alternative? Abandon the Far East completely and accept the higher cost of alternative sources, or cross your fingers and accept the risk of Far Eastern procurement? Happily, there is another option. 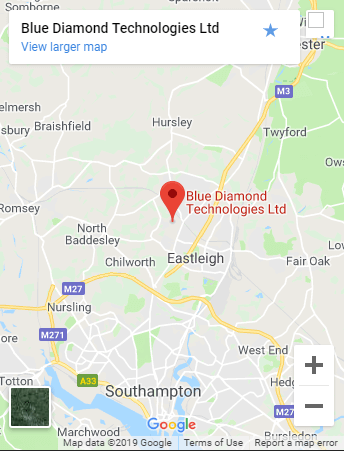 Blue Diamond Technologies, has over 40 years experience in working with suppliers from all over the Far East, enabling customers in the UK to take advantage of significant price benefits while mitigating the risk of the product failing to meet the application requirements. Blue Diamond Technologies established its business on its ability to reliably source bearings from the Far East, which offered significant cost savings over the traditionally used European products but without sacrificing quality. Over the years, the company has developed and grown its in house engineering capability to help customers refine their product designs, and has combined this with a network of highly reliable partners across the Far East. The role of Blue Diamond Technologies is not to be a product designer, although they may well offer design suggestions for improving a product or assembly. Rather, it is to take all risk out of the process of dealing with the Far East, firstly by taking responsibility from a design for manufacturer perspective to ensure that the product a customer wants can indeed be made to meet the application requirements, and secondly by absorbing the risk of something going wrong during production. All of this requires a high level of engagement with the customer, particularly as the job will frequently require the manufacture of nonstandard or fully customised components. So Blue Diamond Technologies, for example, puts a lot of effort into the front end of the process to ensure that the initial design is right. And with a highly experienced team of over 50 people, where a customer might have only four of five free for such duties, customers certainly have a head start when it comes to working with Far Eastern suppliers. So how might the process of engaging with a company such as Blue Diamond Technologies work? It would start with transferring the customers design information onto a manufacturing drawing – one that they can be confident Far Eastern suppliers will be comfortable working with. Once the customer has signed off the drawing, trusted suppliers can be engaged to provide samples to bulk standard. Blue Diamond Technologies would then hold on to a proportion of these samples, conducting a full suite of tests in house to ensure that the products have been manufactured to the required standard. Other samples would go to the customer for form, fit and functional tests. Once the production samples have been signed off by the customer, the factory is instructed to begin full production.  Again, every batch that comes in is inspected in house by Blue Diamond Technologies to specified inspection standards. Blue Diamond Technologies with their network of trusted suppliers, can eliminate the risk for companies by mitigating the unexpected. The cost savings will always be there, and generally the more complex the part or the assembly, the greater the savings that can be realised. Indeed, where a procurement manager might have been asked to cut costs by focusing on having a single part made overseas, they may well find quite often that the real savings will come from focusing on the complete assembly. If a company is looking to have a custom part manufactured, but doesn’t want the risk of ordering thousands of new parts, Blue Diamond Technologies can have the part manufactured in the Far East with a low minimum order of 500 pieces. As a final point on reducing risk, a key problem for companies looking to source products overseas is the requirement to pay the Far Eastern factory up front. That can put an enormous strain on resources and impact on cash flow. But with Blue Diamond Technologies, once a bulk order has been received the customers up front commitment is only to pay for the tooling within the factory. Blue Diamond Technologies then stocks the products, with customers calling them off, typically over a period of one year, as required. It is clear, then, that there are numerous benefits to working with Blue Diamond Technologies and their Far Eastern suppliers for the manufacture of non-standard, semi-custom and fully customised parts. And by working with Blue Diamond Technologies, businesses can reap all the benefits of Far Eastern cost savings without any of the associated risk.